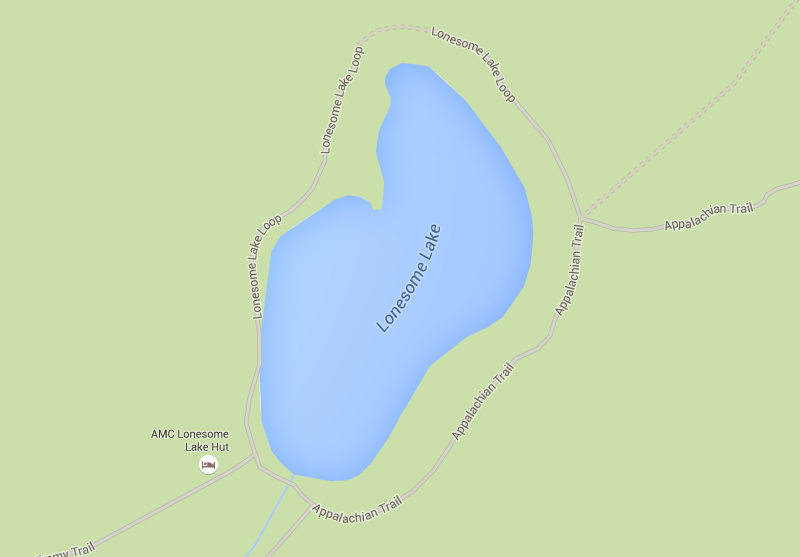 There are some really sad places on earth. Countries torn by war and violence. Countries reeling under poverty. 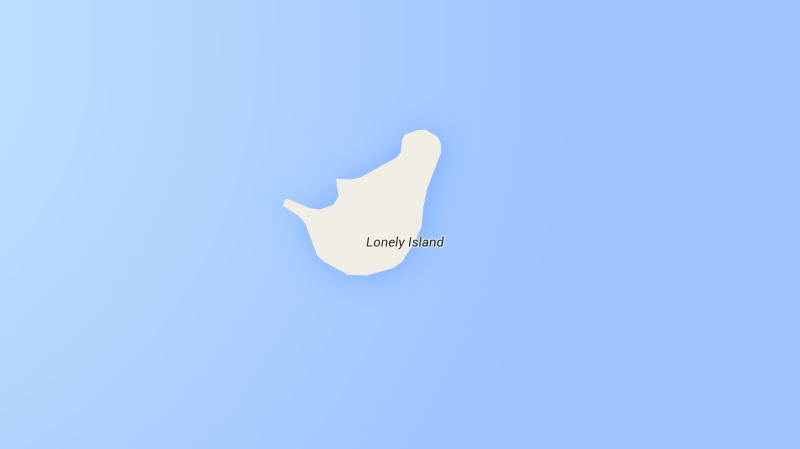 Those places are truly depressing. But there are also places stuck in perpetual despair, but only by name. 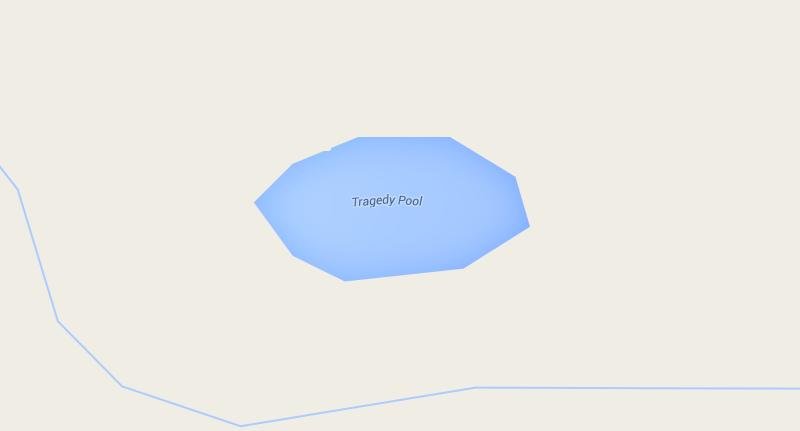 A new Instagram account called Sad Topographies by Australian artist Damien Rudd is dedicated to showcasing these places. "I initially came across a place in Australia … called Mount Hopeless. The name kind of caught me off guard and I decided to come back later and research it," Damien Rudd told CBC. 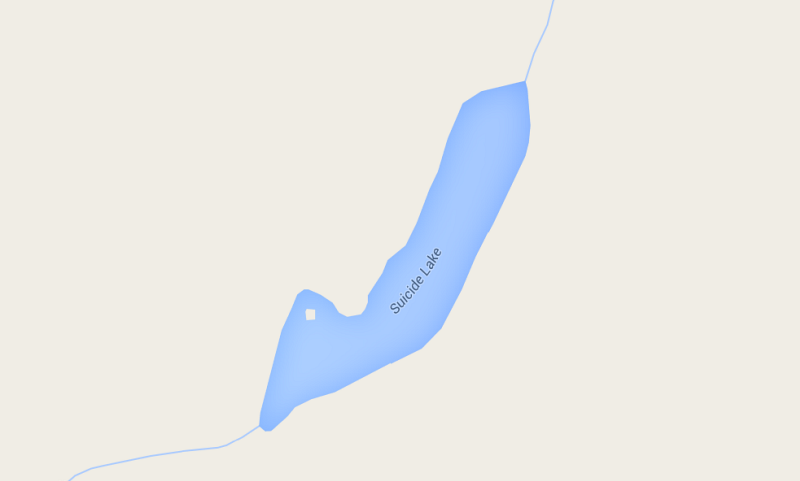 "I actually found that there were many more places that had surprisingly depressing names. That kind of got me started on the project." 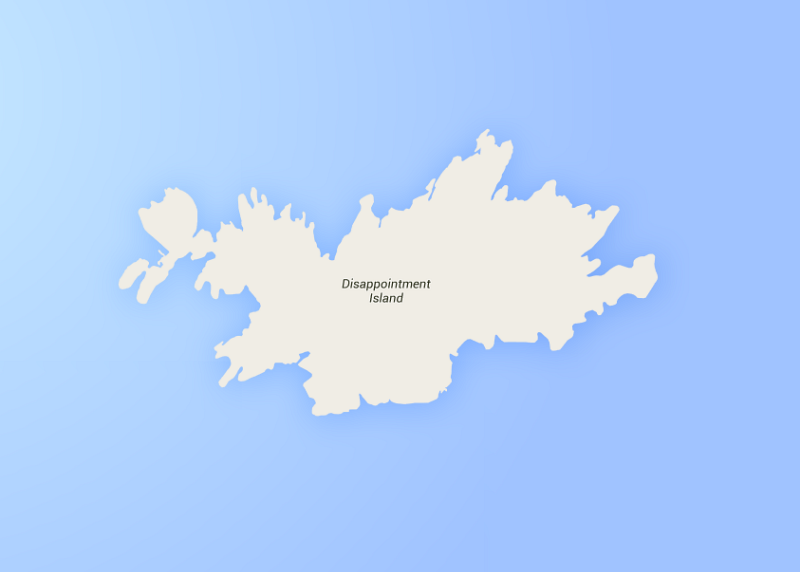 Many of these depressing place names are connected to the dark history of early colonialism, and the mishaps of explorers and settlers. Communities are hesitant to change the names of these places because of their historical context. "I think once you become accustomed to a name, you don't really hear it like an outsider would," he says. "There's a certain type of history that gets lost when you change names." 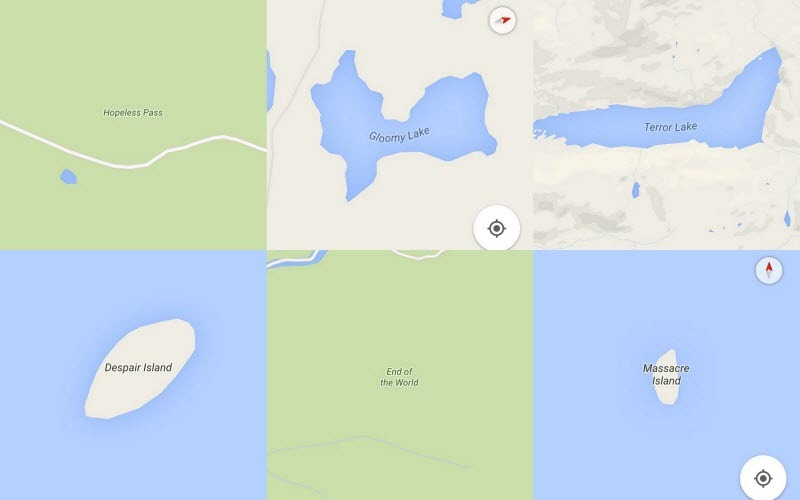 Rudd finds these places by typing sad words into Google Maps. Here is a short list of some of the places Rudd has found so far. Disappointment Island, one of seven uninhabited islands in the Auckland Islands archipelago, near New Zealand, has a disappointing history. In 1866, a ship crashed into the towering cliffs on the west coast of Auckland Island resulting in the death of 68 passengers. 15 survivors made their way to the island, where they waited eighteen months for rescue. 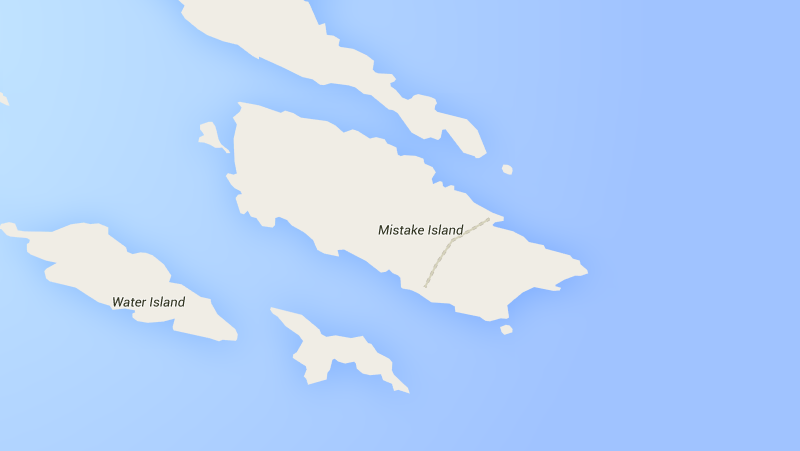 Then in 1907, another ship crashed on the shores of Disappointment Island. Twelve men drowned and sixteen survivors waited seven months for rescue. 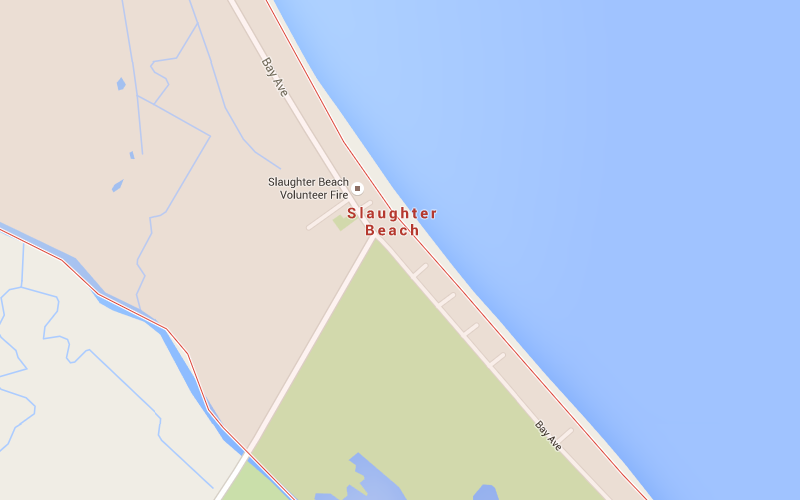 Slaughter Beach, is a town in Sussex County, Delaware, United States. 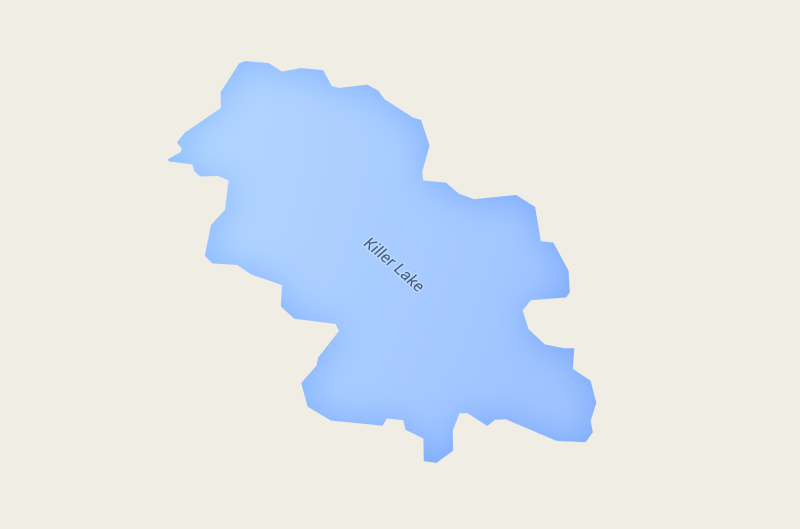 There are at least three stories of where the town's name came from: The first is that it was named after William Slaughter, a local postmaster in the mid-19th century. The second story claims that the name came from the horseshoe crabs that wash up on shore and die each year. They come near shore to shallow water to lay their eggs and the low tide strands them leaving them to die. The third story, and the most contested source of the town's name, stems from a local legend which tells of a man named Brabant who, in the mid-18th century, slaughtered several indigenous inhabitants by cannon in order to prevent an impending massacre. 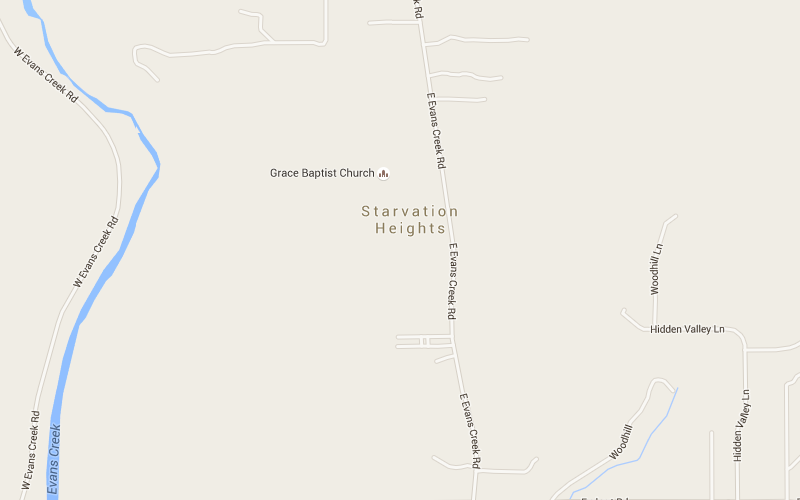 Starvation Heights, an unincorporated community in Jackson County, Oregon, was named before 1883 for its poor and infertile soil, a granite-like mix which supported only scrub vegetation.